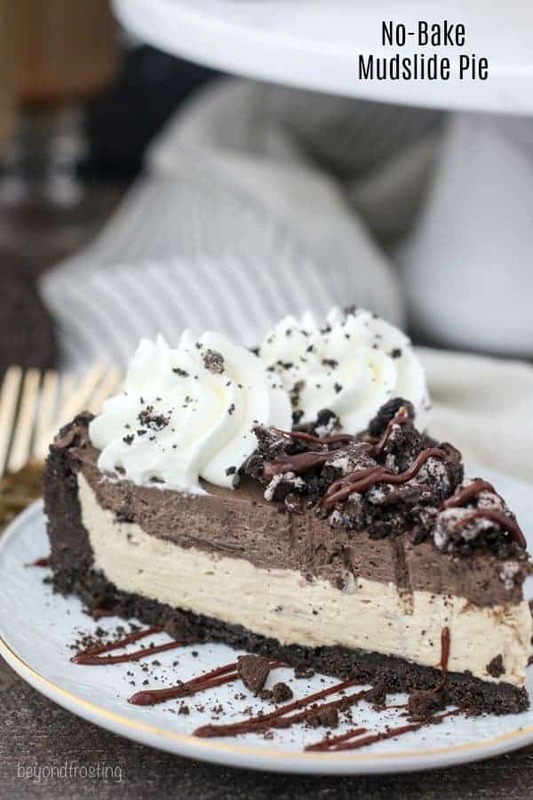 This No-Bake Mudslide Pie has an Oreo cookie crust filled with a no-bake Kahlua mousse and then a layer of no-bake Baileys Irish cream mousse. 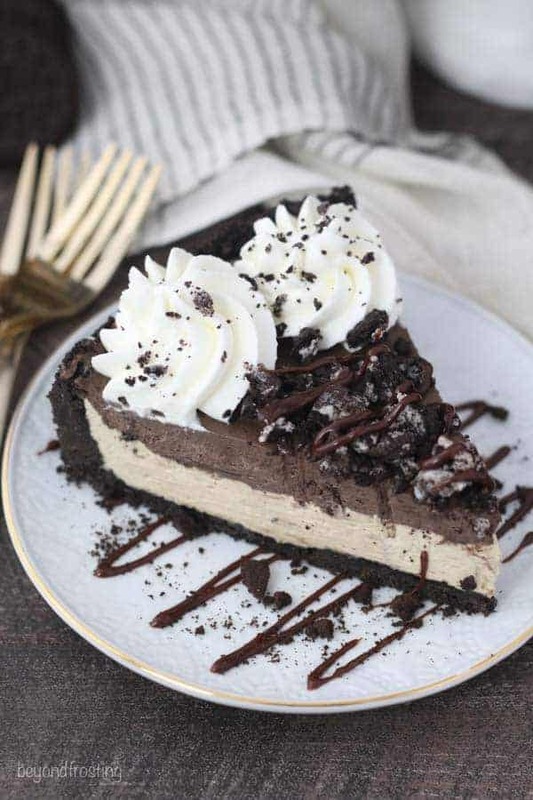 Topped off with whipped cream Oreos and hot fudge, this Mudslide pie is the out of this world! Happy National Pi Day!!! I love a good food holiday and Pi day is one that I celebrate every year. 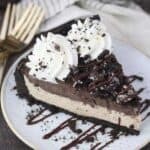 I can’t believe I was able to hold out on this recipe long enough to actually make it until Pi day because this No-Bake Mudslide Pie is for REAL. 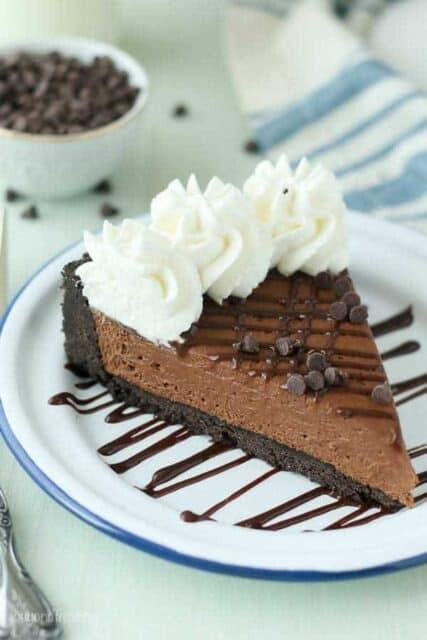 It’s one of those types of desserts that you take one bite and suddenly the whole pie is gone. This Mudslide Pie has an Oreo cookie crust filled with a Kahlua mousse and then a layer of Baileys Irish cream mousse on top. You’ll notice there’s some crushed Oreos, whipped cream and hot fudge also on top. You’ll want to sink your teeth into every last bite. 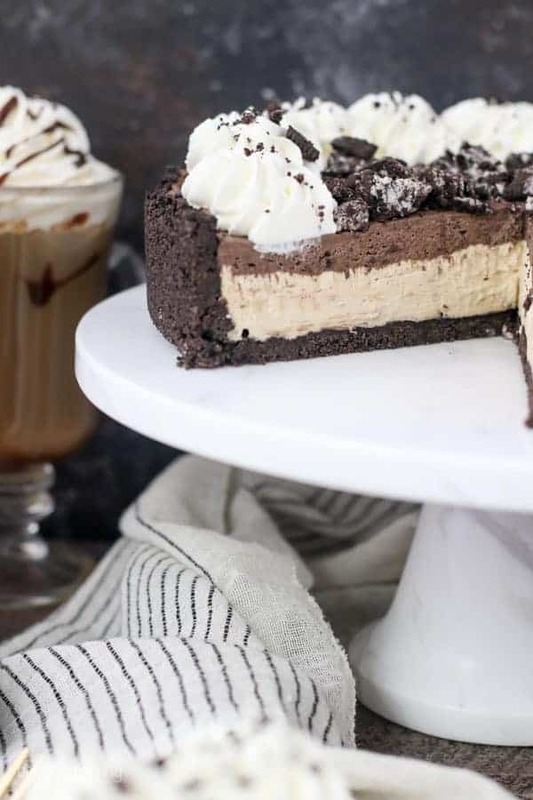 I am a huge fan of boozy desserts and this one is no exception. I was inspired by these Mudslide Parfaits which is a recipe that I made for my cookbook. I wanted to make this recipe as a pie, but I wanted to make it a little quicker than a homemade pudding pie would be. Even though there are two separate layers of mousse here, the recipe is really quite simple. It starts with 8 ounces of cream cheese, which is split in half to make the two layers. Each layer is spiked with either Kahlua or Baileys. For the Kahlua mousse, I decided to add 1 teaspoon of ground espresso, which is optional, but I like that it made the coffee flavor shine just a little bit more. I also added some brown sugar to this layer to cut the sweetness of the cream cheese. For the Baileys mousse, I went with cocoa powder, so it is more of a Baileys chocolate mousse. Then, each layer is mixed with a fresh whipped cream to make it airy and light. For the crust, I just did a simple Oreo crust which I build in a springform pan. 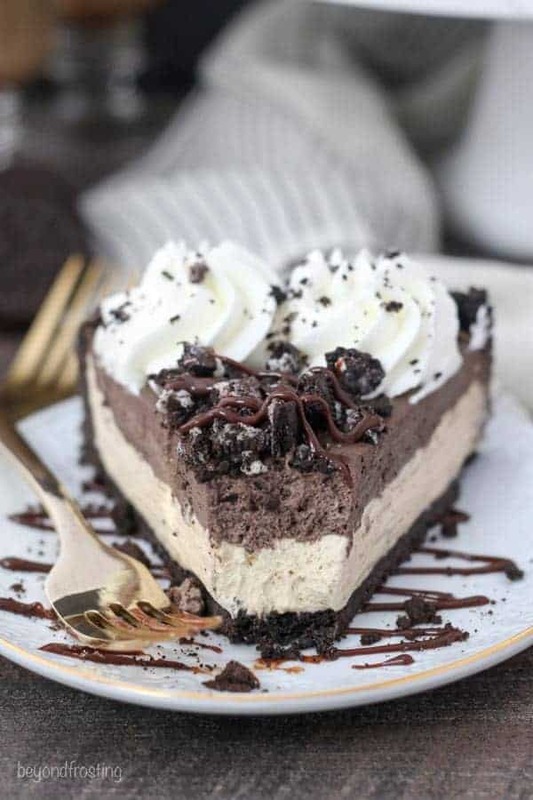 I suppose that you could also use chocolate graham crackers, but I just love the combination of the Oreos with the mousse and I prefer a nice and thick crust. 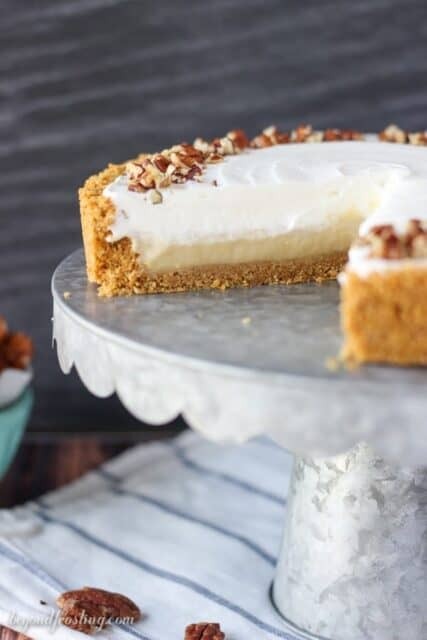 I think you guys know that I kind of have a thing for No-Bake desserts, so you’ll trust me when I tell you that this pie is an absolute winner. 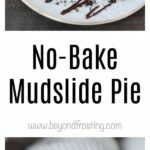 But if you’re in the mood for baking, I am also loving these Mudslide Brownies or mudslide poke cake. 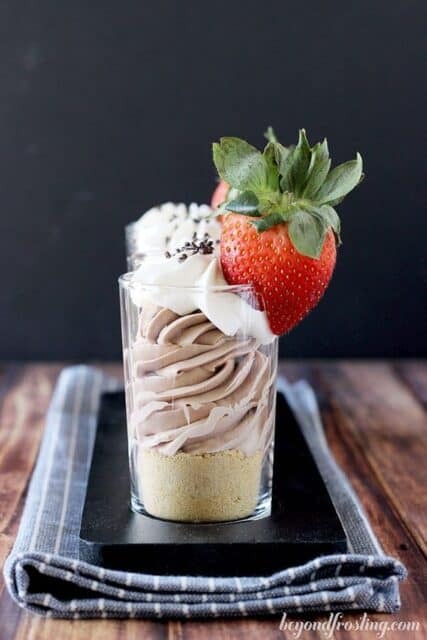 For the Baileys Mousse: In a medium-size bowl, combined 4 ounces of cream cheese with Baileys Irish Cream, ½ tsp of vanilla extract and cocoa powder and beat together until smooth. Set aside. Prepare the whipped cream. Place the mixing bowl and whisk attachment in the freezer for 5 to 10 minutes to chill. Pour 1 ½ cups heavy whipping cream into the chilled bowl. Use an electric mixer to beat the heavy cream on medium-high speed until the cream starts to thicken. Slowly add 3/4 cups powdered sugar and continue beating on high speed until stiff peaks form. Divide the prepared whipped cream in half and mix half into the the Baileys mousse and half into the Kahlua mouse. Pour the Kahlua mousse in the prepared pie crust and spread evenly. Then pour the Baileys mousse over top and spread evenly. Refrigerate for 3-4 hours until the filling is set. Use a large open round tip and pipe a border around the cheesecake. Garnish with hot fudge sauce and chopped Oreo cookies as desired. Hi Lou- I totally understand your problem LOL! 🙂 thank you for sharing, I love the idea of making these mini and freezing them. Enjoy! I did it but yours is 10x more beautiful than mine.